The minimalist movement has gone from trend to mainstream. And when it comes to the bedroom, adopting this style can transform your room from a cluttered storage area into a peaceful sanctuary that reflects your style. If you’re thinking of a bedroom overhaul, you might not even know where to begin. If your current vibe is shabby chic, country cottage or hodgepodge hand-me-downs, you might be thinking that you have to get rid of everything and buy all new stuff. That’s rarely the case as you’re about to see. This decorating style isn’t just about your furniture and decorations. It also involves balancing natural light and open spaces to create a functional area that reflects your personality. Every item in your bedroom will have a purpose, and you’ll see that with a little guidance, it’s not hard to figure out what to keep, what to let go, and what you may need to buy. 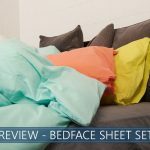 People often think that this style is expensive, but in this article, we’ll share our top minimalist bedroom ideas that will transform your space without breaking the bank. Why Choose a Minimalist Room? Getting rid of clutter is the first and most crucial step in a minimalistic journey. Countless books have been written recently about the best way to declutter and minimize belongings. Perhaps the best in the field is Marie Kondo’s book called, “The Life-Changing Magic of Tidying Up.” The premise of this book is that you do away with anything that doesn’t “spark joy.” To employ her famous Kondo Method, you would put everything you own in a pile, and sort every item one by one. Donate, sell or trash anything that you don’t cherish. Another tip to decluttering is similar, but it doesn’t employ the emotional “joy” aspect, which some people may find to be too woo-woo. Instead, it takes a more logical and pragmatic approach. Look at everything you own and ask yourself if you would buy it again. If you like it and it’s useful, the answer is most likely going to be yes. However, if it’s something you wouldn’t spend money on again, then toss it. In a bedroom, the bed is often the focal point of the room. An ornate bedframe is the opposite of minimalistic, so to achieve this style, get something that is streamlined and simple. This one thing will go a long way in making over your bedroom. 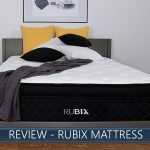 If you’re concerned about expenses, ditch the frame altogether and just use a box spring with the mattress, so your sleeping surface is off the floor. Bright light makes a room appear larger and more open. If you have white or light-colored walls, the effect is even more pronounced. Some purists recommend ditching curtains so that you have one less thing in the room, and you also get the added benefit of extra light, but if privacy is a concern, keep your curtains but allow them to remain open as often possible during daylight hours. Less is more when it comes to art on the walls. If you’re a collector, then move most of your work to other parts of the home or rotate your most loved pieces so you’ll always be seeing something new. Ideally, only one or two walls at most in your bedroom should have art. It probably goes without saying that you should take down any posters, or cluttered bulletin board collages. If you’ve got photos that are sentimental, frame them and put them in an organized fashion on one wall or put them all in a photo album and browse through it whenever you want to be reminded of those memories. Nearly every inspirational room you see on Pinterest or Instagram has a houseplant. A touch of green adds a hint of character and a pop of color. A plant is like the finishing touch or a garnish. It brings everything together. Avoid wispy or shedding plants. Instead, get something with bold, big leaves that are mostly monochromatic. Our top choices are parlor palms, snake plants, rubber trees or plants, or a fiddle leaf fig (you have our top list of plants that are perfect for bedrooms here). You don’t need cavernous dressers with endless drawers. You’ve already decluttered, right? Instead, opt for a single chest with minimal drawers. By this point, you should be able to fit most of your clothes in your closet, and you may add some additional storage pieces in that space as well. 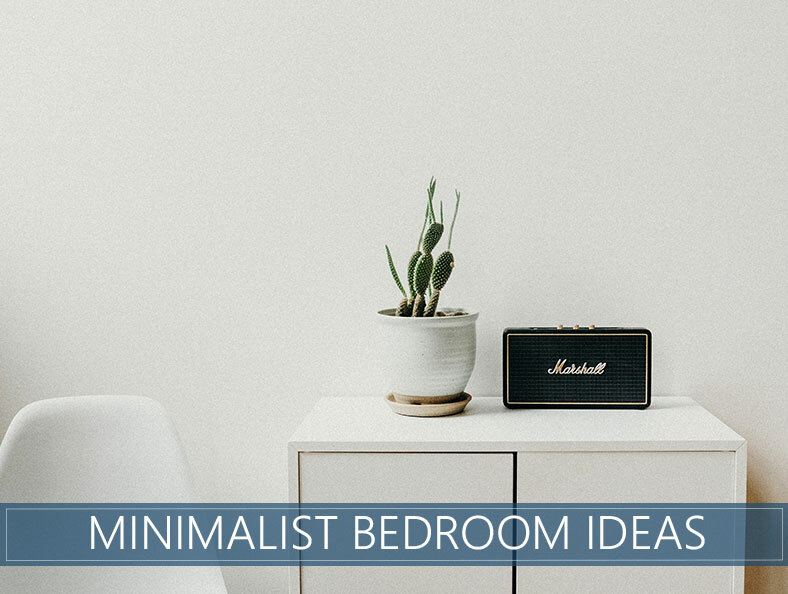 The goal of a minimalist bedroom is to minimize, remember? But if you find you can’t part with enough items to stow everything out of site, your closet is your new best friend. Shelves are helpful for organizing, but don’t go overboard. 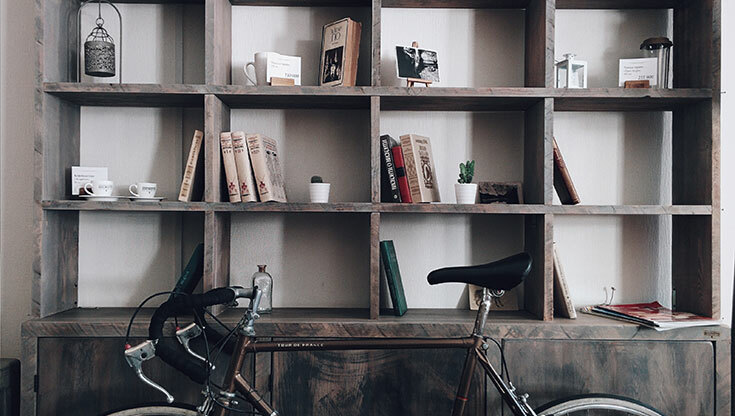 Too many shelves, especially when they’re filled with items, will only add to the clutter and defeat the minimalist look. Opt for a couple of accent shelves on a wall that has no art or get a statement piece that creates a mood for the room. Ideally, choose floating shelves rather than a standalone unit because it will look much cleaner and more modern. Without all the knickknacks and stuff to move around, you’ll find that cleaning, dusting and vacuuming all become so much easier! And if unexpected company comes over, you don’t have to perform a desperate 30-second act of cleaning to make everything look neat and clean. It most likely will be that way in its natural state. 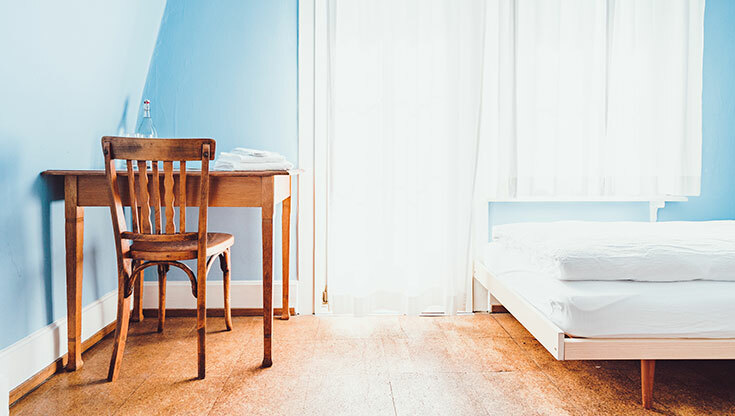 Now that there aren’t twelve pillows on your bed and endless mountains of books and souvenirs, you’re likely to find that everything is pretty much in its place. If you do happen to have a busy week and dropped a few items on the floor or let a mountain of clothes pile up on a chair or at the foot of your bed, it’ll take just a few minutes to put those things away. Too much stuff out in the open is stressful. While some people thrive on clutter and chaos, most people admit that a streamlined space is what makes them feel at ease. When you look around a minimalist space, you can’t help but feel at peace and that everything is right with the world. Although minimalist décor looks expensive, it’s usually the opposite. There’s less stuff, and that’s always a cost-cutting measure. We think the reason it looks expensive is that it’s understated and elegant. Remember, you can achieve this look with some simple furniture and by getting rid of stuff. This is the opposite of pricey! No more piles, stacks, and mountains of miscellaneous clothes and items mean you’ll probably know where things are most of the time. Can a small room have a minimalist design? Yes, definitely. The only challenge you might face is lack of square footage, but that can be overcome with careful planning. If your bedroom is small, opt for furniture that is lower to the ground to create the illusion of vertical space. Keep your walls white, and that will also open up the room. Going frameless for your bed also means you won’t have an extra piece of furniture taking up precious space. 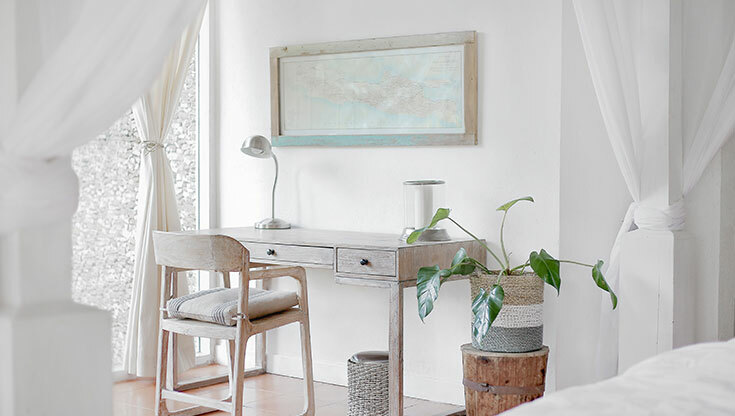 You’ll have to be more disciplined with your approach to parting with unnecessary items because you won’t have enough space to keep a lot of stuff and achieve this look, but if you keep these guidelines in mind, you will enjoy a beautiful room in no time! What is the modern minimalist room style like? There are different interpretations, but a universally accepted truth is that less is more. A modern minimalist room will have neutral colors and bright whites, though you’ll often see a pop of color. For example, you may notice that the bedsheets, walls, and shelves are white, but that there’s an orange vase on the bedside table. Modern rooms that utilize the minimalist style are always bright. It’s almost as if they defy the laws of darkness because they’ll look illuminated even if there aren’t large windows. Again, having a lot of white helps achieve this modern look. Furniture is often low to the ground as well. Gone are the days of large, ornate dressers, giant vases, and families of furniture. One tip to achieve a modern look is to find one piece of furniture or an accessory that embodies this style. It may be a special lamp or a piece of art. Whatever it is, if you keep everything else neutral, you’ll see that this piece creates the style of your room. What is the approximate budget for a minimalist room décor? Budget varies widely! It can be as cheap or expensive as you’d like it to be. In fact, it could even be free, or you could make money by doing this! How, you ask? Well, if you’re getting rid of stuff, you may be able to sell it and use the funds to buy the things you need. Or, once you get rid of unwanted items and organize everything, you might find that you’ve already achieved the look you want. If you find that you do need furniture, the best deals are online, and many companies now offer free shipping. In many cases, you’ll be able to get some pieces for just a couple hundred dollars. A bedroom should be a sanctuary that we enjoy coming home to at the end of a long day. By adopting some of these minimalist bedroom ideas, we think you’ll find that you love this space even more!